Originally conceived as the British Calibration Service (BCS) in 1966, it merged with NATLAS, the National Testing Laboratories in 1985 to form NAMAS, the National Measurement Accreditation Service. The Accreditation Body now yields to the internationally recognised title of the United Kingdom Accreditation Service (UKAS). UKAS is a company limited by guarantee and recognised by the British Government as the sole UK body for the assessment and accreditation of competence for organisations performing calibration, testing, and sampling. Laboratories accredited by UKAS are regularly assessed and audited to ensure that they comply with the stringent UKAS criteria that are in accordance with European standard EN 45001, ISO/IEC Guide 25, and the relevant sections of the BS EN ISO 9000 series of standards, all of which were replaced in 2002 with a new singular International standard ISO/IEC 17025. The Taylor Hobson UKAS Laboratory gained accreditation to ISO 17025 in February 2002, and Testing Laboratory accreditation in January 2004. September 2007 saw the laboratories re-established into newly designed ISO Graded Cleanroom facilities. Confidence in UKAS accredited instrument calibration and tests is authenticated by the concept of Traceability of Measurement, a hierarchical system with direct links to the National Measurement Standards which are realised and maintained in the UK by the National Physical Laboratory (NPL) based at Teddington in Middlesex. Regular surveillance visits by UKAS include a complete audit of the laboratory's quality management system, staff, equipment, traceability of measurement, records, reports, and the laboratory environment itself. A UKAS calibration can improve measurement capability by quantifying the errors in a measuring instrument or reference standard. These errors can subsequently be taken account of, and compensated for, thus improving your practical measurement accuracy (uncertainty). UKAS's policies and procedures are recognised internationally via Multilateral Recognition Agreements (MLAs) throughout Europe with the European Co-operation for Accreditation (EA) , and internationally with the International Laboratory Accreditation Co-operation (ILAC). This ensures that certificates and test reports issued by UKAS accredited laboratories have equivalent worldwide recognition to those issued from laboratories accredited by other international bodies. 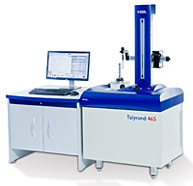 The laboratory also has Accreditation for on-site instrument calibration and measurement facilities in order to verify the linear and geometric accuracies of Taylor Hobson and third party measurement systems. The uncertainties quoted for these calibrations will be dependent upon the actual environment in which the calibration is performed, which would be monitored prior to and for the duration of the on-site calibration. Roundness, surface texture, straightness, diameter and length, polygons, prisms, angle gauges, autocollimators, clinometers and levels, telescopes and collimators, flatness, index and rotary tables. 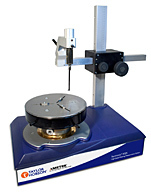 The glass hemisphere that is supplied with all roundness measuring systems is a high precision standard used to both calibrate and evaluate the performance of roundness measuring systems spindles or turntables. 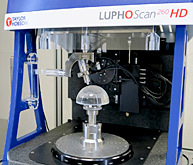 Using a multi-step error separation measuring techniques, the laboratory calibrates the hemisphere to a resolution of 1 nanometre, with an uncertainty of measurement of ±5 nanometres. The issued certificate includes a polar plot of the profile of the measured plane together with numeric data, which allows the user to accurately ascertain any departures from roundness by comparing the calibrated plot against that obtained on their Talyrond system. 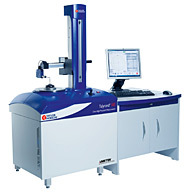 The UKAS laboratory is able to measure all of the currently available parameters associated with surface texture, including German and French derivatives. 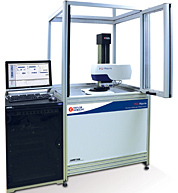 Roughness standards are calibrated to an uncertainty for the Ra parameter of ± 2% + 0.004 µm, which is the lowest currently available from any UK accredited UKAS laboratory outside of the National Physical Laboratory (NPL). A tungsten carbide sphere is used to calibrate the Form Talysurf range of instruments. 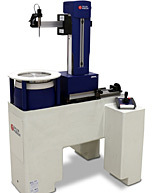 Its radius and roundness/sphericity are each calibrated to provide a high precision multi-purpose standard. The ball is used to calibrate the instrument or as a confidence gauge to ensure its accuracy is maintained. 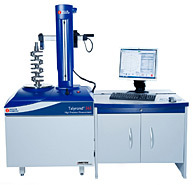 Assessment of the straightness of a Talyrond column, or Talysurf radial arm, can be made using precision cylinders or optical straightedges respectively. 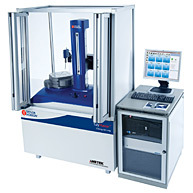 The certified straightness of either, which has been obtained using the mechanical reversal technique of error separation, can be compared to that obtained from a measurement using the system in order to verify its geometrical accuracy. The laboratory is currently accredited for the calibration of spheres, plugs, rings, and length bars. 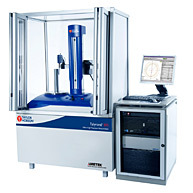 Temperature corrected measuring techniques are used in conjunction with sophisticated control software to achieve uncertainties as low as ± 0.5 µm. The basic methods employed for angle measurement are either the accurate division of a circle using a high precision index table, or the generation of a known angle by means of a precision sine bar (angle generator) or rotary table. 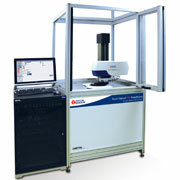 The precision index table is used in conjunction with an autocollimator for the calibration of a polygons, prisms, and angle gauges. Measured errors are tabulated on the UKAS certificate, and by taking account of these errors during its use, a higher accuracy of measurement can be achieved by the user. A small angle generator jointly designed by Taylor Hobson and NPL is used in conjunction with Interferometrically calibrated gauge blocks for the calibration of an autocollimator. Both progressive and periodic errors are measured and certified, and knowledge of these errors can enable more precise use of the instrument by the operator. 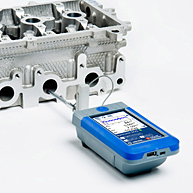 Block levels, clinometers and electronic levels are calibrated using sophisticated sine lever techniques. A Talyvel electronic level is calibrated using a Taylor Hobson small angle generator, and the user benefits from the ability to compensate for known errors when using the instrument. 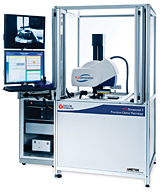 The line of sight and displacement errors of a Micro Alignment Telescope are assessed using an optical wedge and fixed and variable focus collimators. Deviations are recorded on the UKAS certificate, providing the means for more accurate measurement. 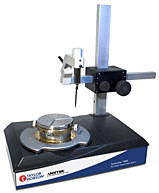 Micrometer and focussing accuracies are also verified using traceably calibrated scales and artifacts. 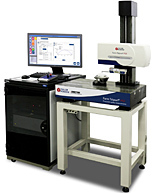 Optical flats and straightedges are calibrated using a Zygo GPF phese shifting Interferometer to some of the smallest uncertainties that are commercially available. 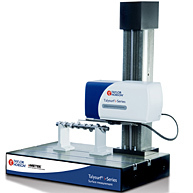 The on-site calibration of surface table flatness can be calibrated using a Talyvel electronic level in conjunction with analysis software to produce a 3 dimensional plot of the table surface. 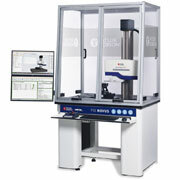 Various techniques are used for the calibration of rotary devices, and uncertainties can be as low as ± 0.3 seconds of arc.